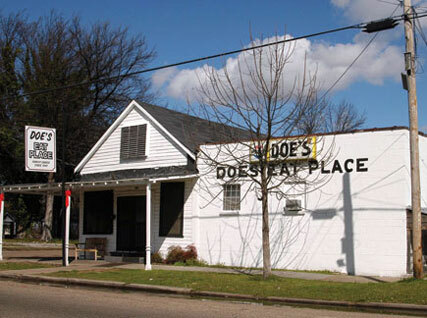 Doe's Story - Meat me at Doe's! In 1903, Carmel Signa moved his family to Greenville, Mississippi and opened a grocery store at 502 Nelson Street. The family lived in a small house behind the store in the predominantly African-American neighborhood surrounding Nelson Street. Papa’s Store, as it was known, thrived in the community until 1927. That was a year that historic rainfall pushed the Mississippi River out of its banks, and consumed much of the low-lying, riverside community that ‘Papa’s Store’ was located in and depended on. The flood of 1927 and the loss that the community sustained forced Carmel to find alternate means of supporting his family. His solution, was bootlegging. Despite the hardships of the time, he was able to support his family for several years with his illegitimate trade. He knew, however, that his choice of profession, much like Prohibition, couldn’t last forever. 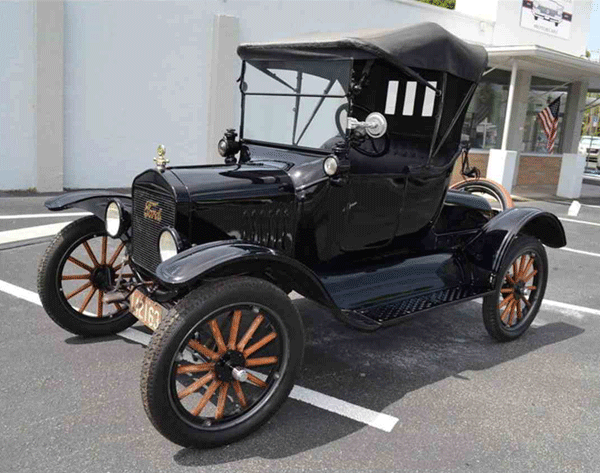 Carmel decided to sell his 40 barrel still operation receiving as payment $300.00 and a Model T Ford. In the years since the flood, the community around Nelson Street had rebuilt and revived. The building which was once Papa’s Store was relatively unharmed by the flood so Carmel decided to open a ‘Honky Tonk’ in the front part of the store. Despite having a Caucasian owner, the honky tonk was a place strictly for African-American patrons. It was a place for the community to congregate and celebrate, and the community was African-American. In the back of the old store was a small kitchen where Carmel’s son Dominick ‘Big Doe’ Signa and his wife Mamie prepared food such as Buffalo fish and chili for the patrons of the honky tonk. In 1941 someone gave Mamie a partial recipe for traditional Delta-style Hot Tamales. She improved on the recipe and began selling them at the honky tonk. This was the beginning of Doe’s Eat Place. Ironically, the ‘carriage’ trade arrived at the back door like segregation in reverse. A local doctor began stopping by between calls to enjoy some of Mamie’s tamales, but being Caucasian, was required to dine out-of-sight in the back of building. One day he asked Big Doe to cook him a steak with his tamales. The combination was great. Soon after, the doctor brought in another doctor, then a lawyer, and before he knew it, Big Doe Signa was operating an ‘Eat Place’ for Caucasians in the back end of a honky tonk strictly for African-Americans. Big Doe relied on the help of family and friends to keep up with the demands of his thriving new restaurant. Eventually, he closed down the honky tonk to expand and stay focused on the ‘Eat Place’. 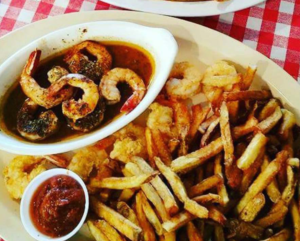 The added space allowed Big Doe and Mamie to prepare a full course meal for their patrons including Mamie’s marinated salad and fresh cut French fries prepared in a hulking cast iron skillet. Despite the added space, the Eat Place’s growing popularity never allowed for the dining tables to be removed from the kitchen where several remain to this day. Mamie passed away on November 5, 1955. Big Doe Signa retired in 1974 and turned the Eat Place over to his sons Charles and Dominick ‘Little Doe’ Signa. Big Doe passed away on April 29, 1987. Though time has taken its toll on the old building once known as Papa’s Store, the tradition of the old family Eat Place hasn’t changed. Today, when you walk in the front door of the former honky tonk on Nelson St, you’ll be greeted in the front kitchen where Little Doe cooks steaks for the locals, as well as travelers who have gone miles out of their way to make the pilgrimage to this icon of the South. There’s nothing fancy about it. 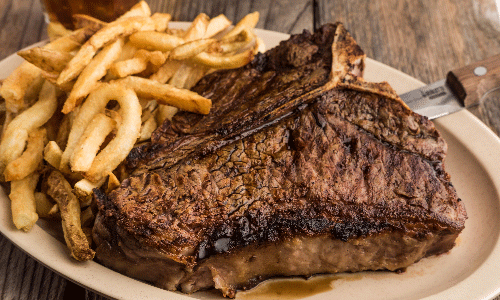 It’s simply good people carrying on the delicious Delta tradition of mouthwatering steak and hot tamales. That is Doe’s Eat Place.